Ightham Scouts are raising money to build a multipurpose Scout and sports headquarters. The aim of 1st Ightham Scout Group is to promote the development of young people in achieving their full physical, intellectual, social and spiritual potentials, as individuals, as responsible citizens and as members of their local community. The method of achieving this is by providing an enjoyable and attractive training scheme of progressive training based on the Scout Promise and Law and guided by adult leadership. We provide the young people of Ightham from 6 to 18 with activities and excitement every week. This gives young people the chance to develop, learn, have new experiences and make friends, teaching them life skills they do not learn at school. We also assist with village events, such as the annual village fete, and work in conjunction with our local National Trust property offering our services for car-parking. 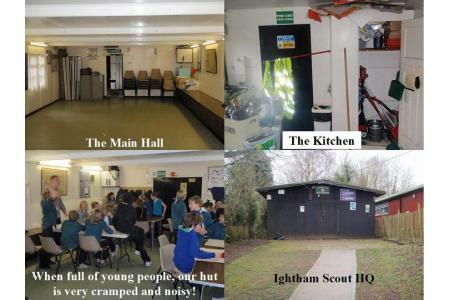 Ightham Scouts are an integral part of community life in Ightham, offering Scouting to over 80 young people in the village. We provide a safe and friendly environment for young people to develop skills, friendships and to have fun. By providing all of this for the young people, we help them grow into responsible and valuable members of society.